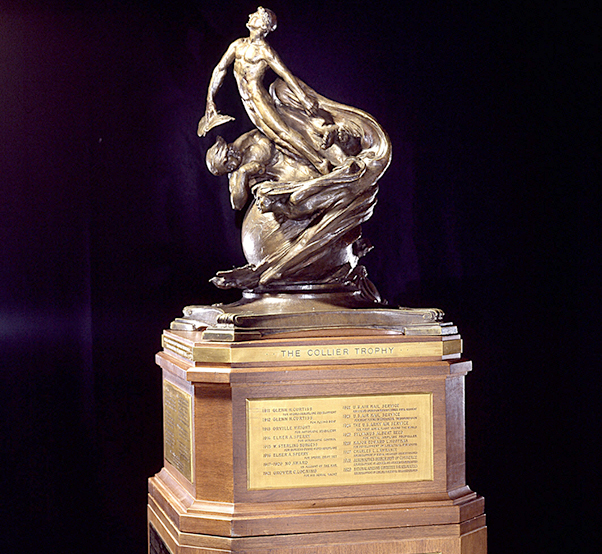 The Collier Trophy was established in 1911 by Robert J. Collier, publisher and early President of the Aero Club of America. The trophy is administered by the National Aeronautic Association of the U.S.A. and is awarded annually for “the greatest achievement in aeronautics or astronautics in America, with respect to improving the performance, efficiency, and safety of air or space vehicles, the value of which has been thoroughly demonstrated by actual use during the preceding year.” It is permanently housed at the Smithsonian National Air and Space Museum in Washington, D.C. The National Aeronautic Association announced that the Automatic Ground Collision Avoidance System Team as the recipients of the 2018 Robert J. Collier Trophy. The trophy will be formally presented at a dinner event in Washington, D.C., in June. 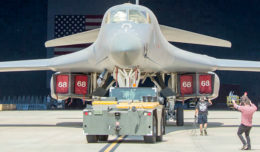 The Collier Trophy is awarded for what the Collier Trophy Selection Committee considers the greatest achievement in aeronautics or astronautics in the U.S., with respect to improving the performance, efficiency, and safety of air or space vehicles. The committee is comprised of 30 aviation and aerospace professionals and heard presentations from 10 other nominees. The Collier Trophy is housed at the Smithsonian National Air and Space Museum in Washington, D.C. 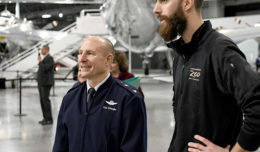 The Auto GCAS team comprises representatives from Lockheed-Martin, the U.S. Air Force, the F-35 Joint Program Office, NASA and the Defense Safety Oversight Council. The team is credited for successfully completing a rapid design, integration, and flight test of critical, lifesaving technology for the worldwide F-35 fleet. Auto-GCAS is a technology designed to save a pilot from crashing into the ground in the event of a sudden loss of consciousness or target fixation. Members of the F-35 Integrated Task Force at Edwards Air Force Base, California, was notified of their achievement earlier in April. Lt. Col. Tucker Hamilton, 461st Flight Test Squadron commander and F-35 ITF director, addressed his team and thanked them for their work.